Creating circles is easier than ever before with new base and hinge design. No cutting mat required! Easily cut perfect circles in 15 different sizes. Perfect for making cards, garland, gift tags and more! 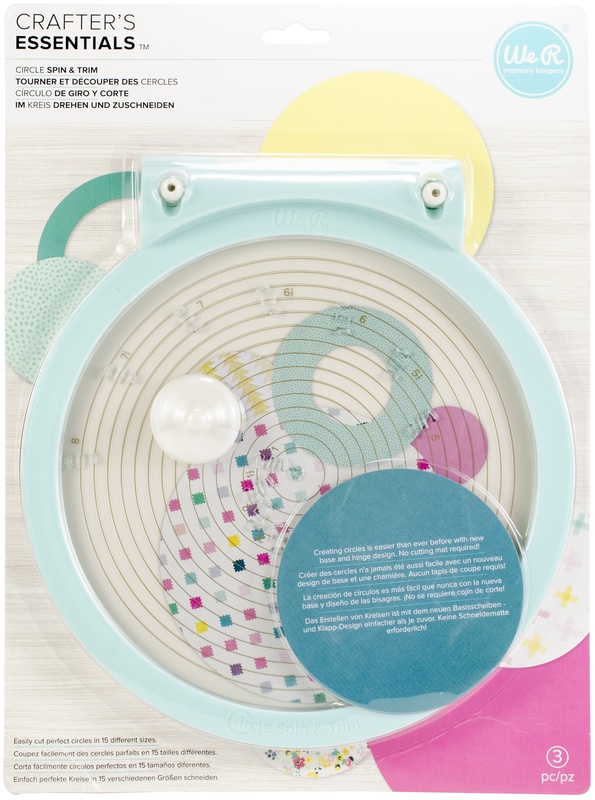 This 11x15 inch package contains Circle Spin & Trim board and two blades. WARNING: Not intended for use by children. Contains sharp point. Imported.